The google plus hangout is being designed for video chat between two or more people from any location. Getting started on google plus hangout is very easy without much stress and it can be done within 2-3 minutes, all you need to do is to follow my simple steps below. 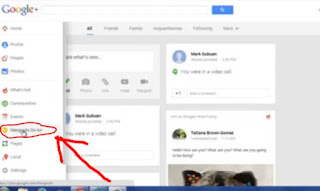 First you must make sure you have a Google plus account or if you don't have you can create one for your self. 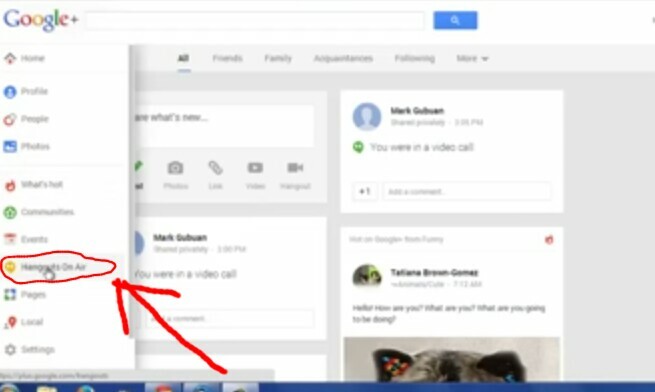 Now move your mouse to the left hand side of your Google plus page you will find the Hangout tab.